There are currently more than 700 clinical trials taking place involving years of research and millions of dollars. As a scientist (B.S. in chemistry & math), I understand the hit and miss nature of research. However, I did not understand the process to bring a treatment or a new drug to the market until I was diagnosed with Breast Cancer myself. Watch how Dr. Emily Senay's video segment from Need to Know touches on this and introduces you to 6 women who are modern day medical pioneers on the Cancer Frontier here. . .
Dr. Rache Simmons, is a breast surgeon with NY Presbyterian/Weill Cornell. She was the first surgeon in NYC to do research into the use of cryoablation, a process that freezes breast tumors. According to Dr. Simmons, "With the freezing, the cells actually burst and so the cells die. But the cancer DNA is then released into your system. It's non-viable, it's not live, but it's recognizable by your own body's immune response. That's what we think is happening that you don't see with other technologies." This technology is already a standard option for treatment of benign tumors. Early research shows that it is completely destroying cancerous tumors as well. Clinical trials are notorious for their glacial pace, often taking 10 years to go from discovery to public availability. Advanced Breast Cancer patients don't have that luxury of time. A cure for cancer used to fall under the premise of "one size fits all". It is now known that the molecular biology of each individual is a determinant factor in whether their specific cancer will respond to a drug. Dr. Laura Esserman, UCSF Comprehensive Cancer Center is one of the leaders for the clinical trial called iSpy 2 that hopes to speed up the process. "We used to have this idea that 'Oh! ', we are looking for the next blockbuster drug that will work for everyone. That's just incredibly unlikely. Breast cancer, although we call it one thing is NOT one thing. It's made up of several different diseases that behave differently and we need to peronalize the treatments", said Dr. Esserman. One innovation is that multiple drug companies are collaborating in the iSpy 2 trials which is a great savings in resources. The trial also differs in the number of drugs that are being tested, the timing of their administration and the way the data collected is examined. In my opinion, this is pure genius! Sadly as many as 8% of patients decline treatment if they are at risk for hair loss. Although this may sound silly, I still remember vividly the one day pitty party I allowed myself after finding out I would have to have chemotherapy after all. I had a good cry, and thought it was out of my system. Then I started thinking about all the events coming up in the next year including my nephew's wedding and my 35th High School Reunion. The flood started all over again as I lamented "I'm going to be BALD for my reunion and for Stephen's wedding (sob, sob, sob)..."! The clinical trial being done by Dr. Hope Rugo, oncologist UCSF sounds very promising. While she says that "patients will still lose about 20% of their hair", the use of the DigniCap "helps to protect their quality of life". This cooling cap works by constricting blood vessels in the scalp, limiting hair loss. These 3 trials sound hopeful and promising for future cancer patients. If you know of someone who is currently undergoing treatment that is part of a clinical trial, don't just wish them well, thank them. No matter what the results of the trial, they are paving the way for those that will soon be diagnosed. I wanted to learn more about my specific cancer so I read Her-2: The Making of Herceptin, a Revolutionary Treatment for Breast Cancer. This book was made into a movie in 2008 with Harry Connick, Jr. starring as Dr. Dennis Slamon called Living Proof. Both the book and the movie opened my eyes into the world of clinical trials. The fight that took place to bring this wonder drug to market brought tears to my eyes, and still does. I am eternally grateful to those unnamed Breast Cancer patients, medical pioneers in my eyes, who paved the way for the FDA approval of Herceptin. I am convinced that this drug, which almost didn't make it to Phase III of the clinical trials, has saved my life. Those women who took the risk are just one of the reasons I must Pay It Forward. Excellent and informative post. I'm so happy to read that Herceptin is helping you and wish you continued success for a full recovery. 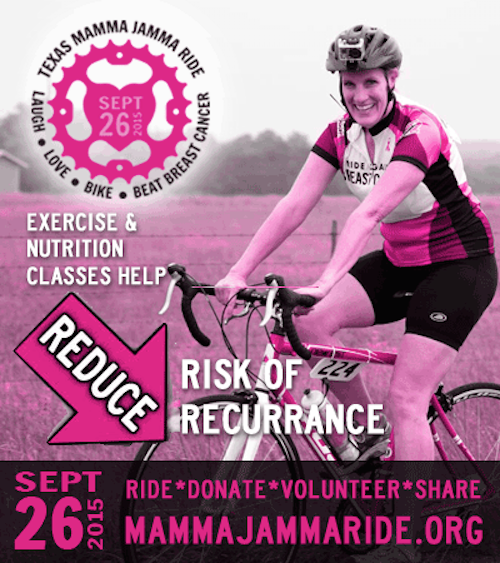 Best wishes on the Mamma Jamma Ride. Thanks Paula, I really appreciate all of your support and kind comments. You are my biggest fan. 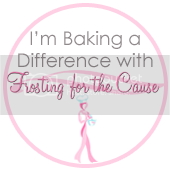 I'm getting excited about posting on Frosting for a Cause!